Imagine – crunchy, buttery crust. Cinnamon apple layer. Creamy, melt-in-your-mouth cheesecake. 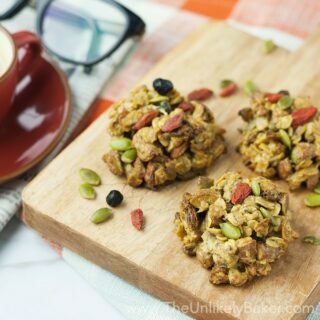 Crispy pecan oat topping. Salted caramel drizzle. 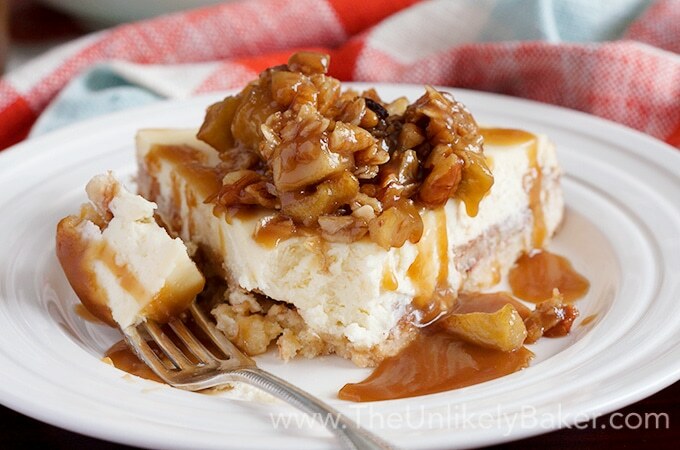 There is no better way to celebrate fall than with this salted caramel apple cheesecake! There, I said it. I am celebrating fall. This summer girl has conceded that summer (*gasp*) is over and fall is upon us. While I may feel a little sad about the cooler temperatures, I do love fall flavours. I’m not in pumpkin mode yet (yet!) 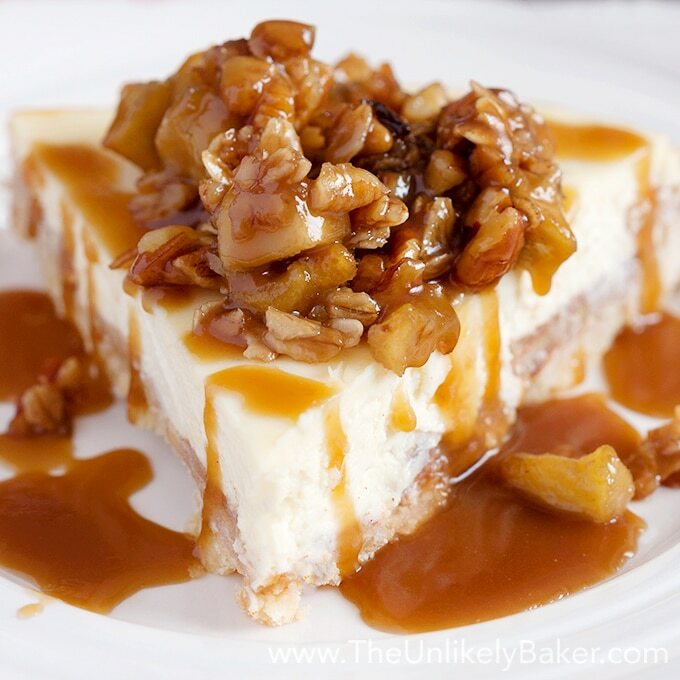 so let me slowly ease us into the season with this salted caramel apple cheesecake. Pumpkins tend to overshadow apples in the fall but apples are gorgeous this time of the year too. And I know I always say this but seriously guys, this is so good. Whether you’re baking just for you or you have company over, welcome to your new favourite cheesecake. So yes, I like apples! Have you checked these out? 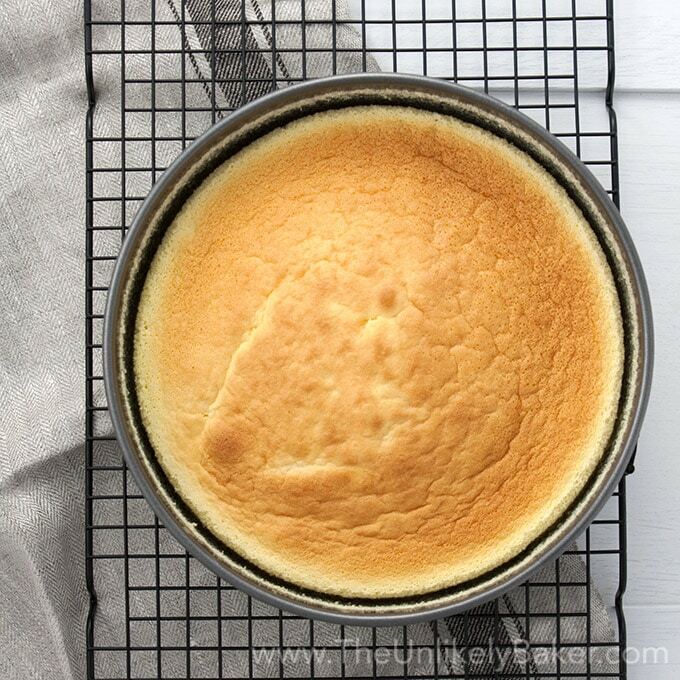 And this new cheesecake recipe is a phenomenal addition to my recipe box and yours. The base cheesecake recipe is from my co-worker Momma C who is an amazing baker. It’s chaos whenever she’d bring this in (think: The Cornucopia in The Hunger Games). I added the pecan oat crisp and salted caramel sauce because pecans and salted caramel. And the components work together like magic. It does involve a bit of preparation (mise en place if you want to get all fancy). Trust me, it’s worth it. Let me break it down for you. First there’s the crispy, buttery crust. Just beat all the ingredients together until they resemble coarse crumbs, press onto the bottom of your springform pan and bake. Then you have your apples. Just peel, slice and cook in butter and cinnamon until soft and tender. Put it on top of your cooked crust and drizzle with salted caramel. I doubled my recipe for salted caramel sauce for this cheesecake and I made it ahead of time (it can be made up to 3 days ahead). I just reheated in the microwave. And stopped myself from eating it all in the meantime. For your topping, you just need more apples, rolled oats, sugar, butter and pecans. Cook and set aside until you’re ready to serve. 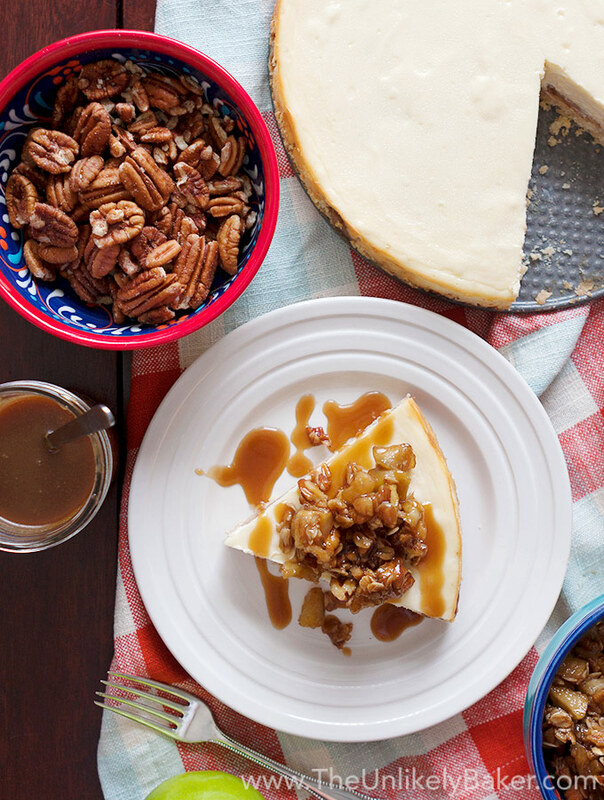 When it’s time, all you need to do is take a slice of your apple cheesecake, top with your pecan oat crisp and drizzle with salted caramel sauce. In one bite, you get crunchy butter crust, soft cinnamon apples, creamy cheesecake, crispy pecan oat topping and amazing salted caramel. Celebrating fall doesn’t get any better than this! Celebrate fall with this salted caramel apple cheesecake! Butter crust, cinnamon apples, creamy cheesecake, pecan oat crisp, salted caramel sauce. You’re welcome. Double this recipe for salted caramel sauce. You can make the sauce up to 3 days ahead of time. In a medium bowl using a pastry cutter or a handheld electric mixer, combine 1 1/2 cups flour, 1/2 cup butter, 1/4 cup sugar and 1 egg yolk until the mixture resembles coarse crumbs. You should see little bits butter remaining. Press onto the bottom of a 9-inch springform pan and bake for 15 minutes or until a light golden brown. In the meantime, prepare your apple layer. In a medium sized skillet, combine apple wedges with 2 tablespoons butter and 1 teaspoon ground cinnamon. Cook on medium heat until apples are soft and tender (5-7 minutes). Once your crust is baked, remove from oven and lower oven temperature to 325F. Pour apples on your baked crust. Drizzle with 1/2 cup salted caramel sauce. 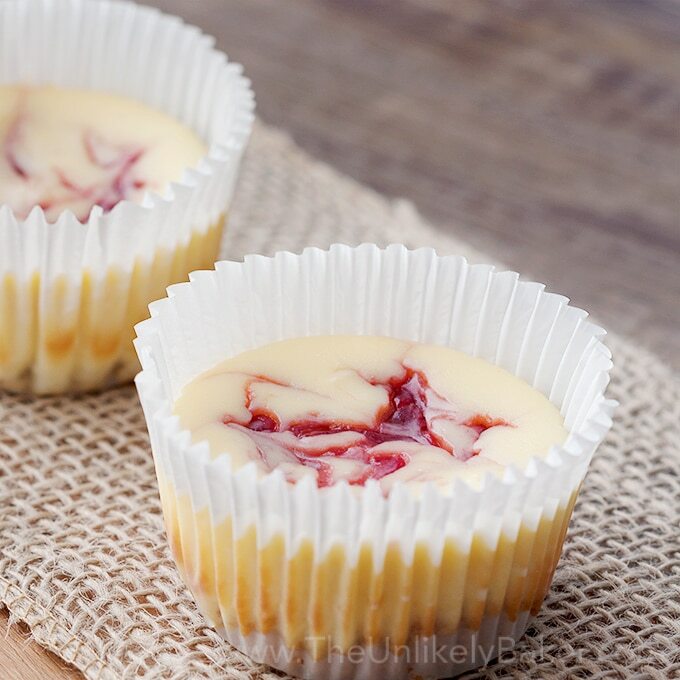 Set aside while you prepare your cheesecake filling. 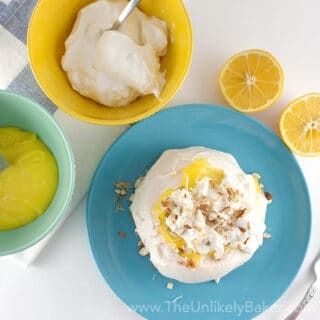 In a large bowl using a handheld mixer or a stand mixer fitted with the paddle attachment, beat cream cheese and 1/2 cup sugar on low medium speed until smooth (about 2 minutes). Add eggs one at a time, beating well after each addition. Pour your cream cheese mixture over your apple layer and smoothen the top. Before putting your cheesecake in the oven, prepare a roasting pan (or a 9x13 baking pan) and place it on the bottom shelf of your oven. Pour hot water until the pan is 2/3 full. Place your cheesecake on the middle shelf and bake for 30 minutes or until set (see notes). In the meantime, prepare your pecan crisp (see notes). In a medium-sized skillet, combine diced apples, 1/4 cup brown sugar and 2 tablespoons butter. Cook on medium heat until apples are tender (3-5 minutes). Add 1/2 cup chopped pecans, 1/4 cup rolled oats and stir until thoroughly combined. 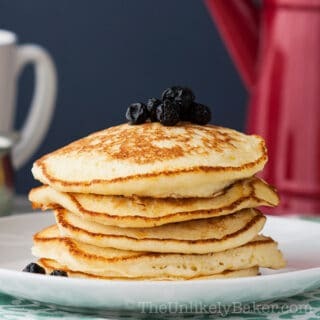 Continue cooking until the sugar is completely absorbed and the topping is nice and sticky. Remove from heat and transfer to a heat proof container. Set aside and allow to cool. Once your cheesecake is set, turn the oven off but keep the cheesecake in the oven with the oven door opened just a crack. Leave the cake there for an hour. Then take it out, run a sharp knife around the edges to loosen the cake, before chilling it (still in the pan) in the fridge for 4-6 hours, preferably overnight. 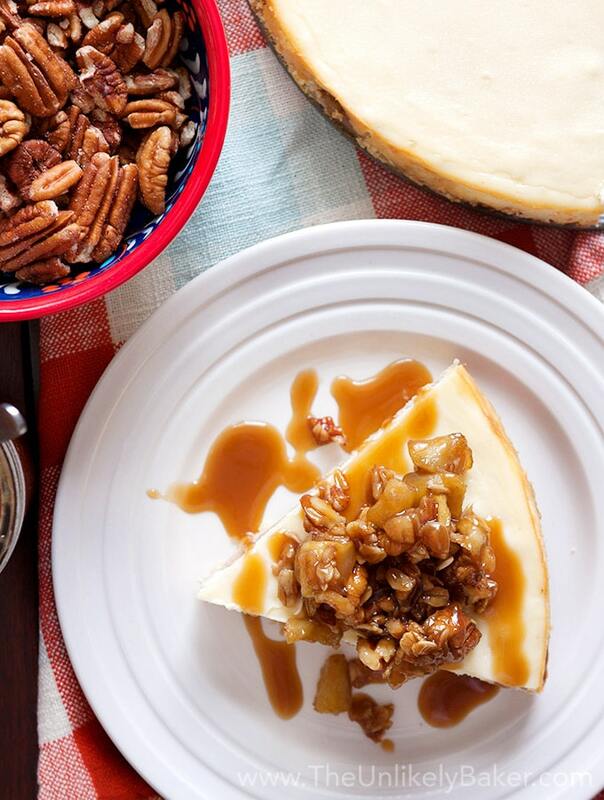 To serve, top each cheesecake slice with pecan crisp and drizzle with salted caramel sauce (see notes). You'll know your cheesecake is set when it's starting to pull away from the sides but the middle is still jiggly/wobbly but NOT soupy. 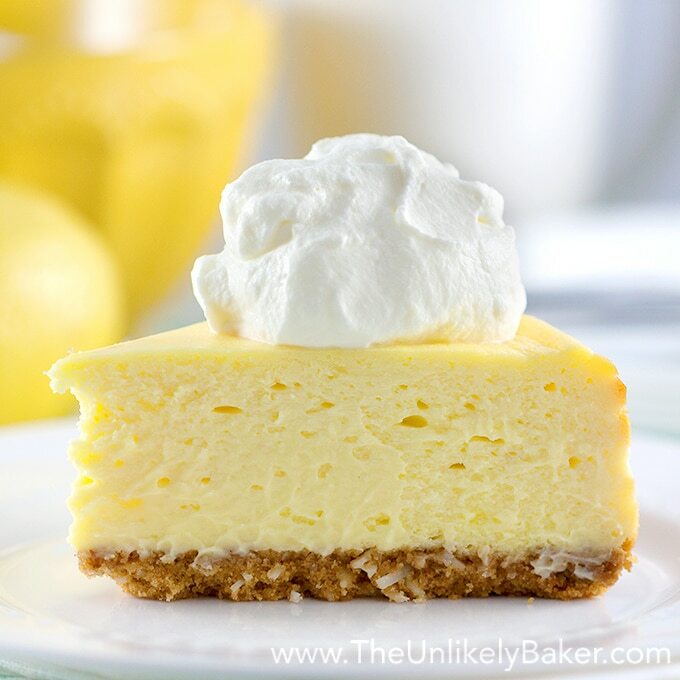 You can prepare your topping ahead of time and just store in the fridge until you're ready to serve your cheesecake. You can either warm it slightly in the microwave or serve it cold. Both works! You can also opt to cook your topping just before you serve your cheesecake. Just allow it to cool slightly before using. If you don't have time to make the salted caramel sauce you can always buy a jar of your favourite caramel sauce from the store. You can also opt out of the topping, the cheesecake on its own tastes great! Did you make salted caramel apple cheesecake? What’s your favourite apple dessert? I’d love to hear from you in the comments section below. And let’s get social! See the sidebar (if on your desktop) or the bottom of this page (if on your mobile) to see how we can connect. This looks delicious! Perfect for fall, too!!! I am drooling! That pecan crisp topping is everything! My gosh, my mouth is watering right now. I’m a sucker for delicious desserts. 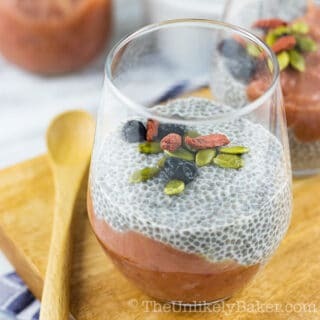 This is such a yummy recipe! 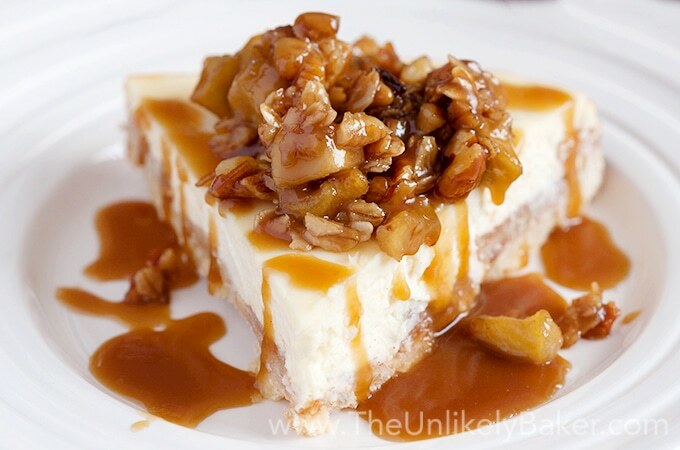 I love caramel and pecans so it’s a no brainer that I will be trying this for sure. Thanks for sharing! I’m already done with my dinner, but seeing your pictures and recipe makes me starve for this. How I wish I can prepare something delicious like that. This looks absolutely scrumptious and perfect for fall! Cheesecake is my absolute favorite, and caramel apple stuff is always awesome. Can’t wait to try this! Wow, this looks so delicious! I haven’t had a cheesecake in forever (as I am on a diet right now LOL!) But, looking at this is making me fantasize about how amazing it would taste especially with the pecan crisp topping! Maybe this can be your cheat day dessert 🙂 That pecan crisp topping is everything if I say so myself! Wow, jus wow. This looks so amazing, and the pics are to die for. Love everything about this! Hi Nichole! We’re in a really weird fall heatwave at the moment though so I’m a happy camper 🙂 And we actually eat that pecan topping on its own! I loved the combination of apple cheesecake and pecan toppings. Salted caramel syrup is perfect golden. You have perfectly layered all 3 layers and it looks delicious. LOL we ate them all unfortunately 🙂 This cheesecake doesn’t, won’t last long! This would be perfect to bring over to Thanksgiving dinner instead of a traditional pecan pie! I agree! I know Thanksgiving and pies have a special…relationship 🙂 but this is really lovely to serve to company. Yay! I hope you guys like it. Thanks Jessica! This looks delicious! Easing into fall with apple is a good idea to me! All you really had to say was salted caramel, and I was in! The rest is just icing on the cake. It looks amazing and because it’s got apples in it, you can eat a whole one a day, right?! Haha yes it’s literally icing on this yummy cheesecake. And good news, this recipe has more than 1 apple so that’s more than your daily required intake! Anything with pecans and apples is a winner to me. This looks divine. Ummm, yummy!!!! I love me some cheesecake!!! Can’t wait to try this with this fall twist!!! Living abroad, I haven’t baked much because I just can’t figure out all of the items I need and how to measure without American measuring cups. (I’ve been measuring in grams here!) This looks like something I could do here with ingredients I can find. Except they don’t sell All-Purpose flour here, but I can improvise on that. This would bring back memories of my mother’s kitchen. I love her cheesecake! Looks delicious! Good god this looks good! Pecan pastry are my usual go to and I’ve never thought about trying it in a cheesecake but I’m literally sitting here mouthwatering about how much I want to go and give this a go! Mmmmm pecan pastry sounds delicious. Now you’re making ME hungry and it’s almost midnight here haha! Thanks Lizzie! Hope you get to try this and hope you like it! This looks so delicious! Thank you for a recipe! OMG looks so delicious!! It’s the middle of the night and this makes my so hungryyyy to deathhh. I love sweet so much, especially cheesecake. I’ve tried to make some basic ones. This one is a little but harder but it looks so fantastic I’ll have to try this weekend. Thansk for sharing the recipe! Thanks Hanna! I say go for it 🙂 It’s easier than it looks I promise. It’s just a little bit more steps because of the components but it’s worth it! I have never heard about salted caramel apple cheesecake. And this recipe is looking so delicious to me. Thank you so much for sharing all the recipe details with us. I would like to try it once. This looks absolutely scrumptious! Your pictures are amazing as well. 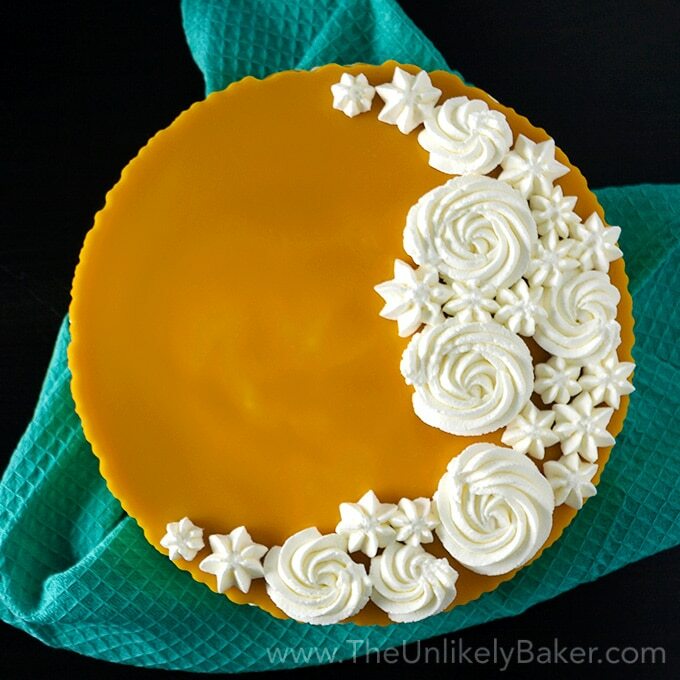 The No-Bake Mango cheesecake in one of your previous posts looks to-die-for! 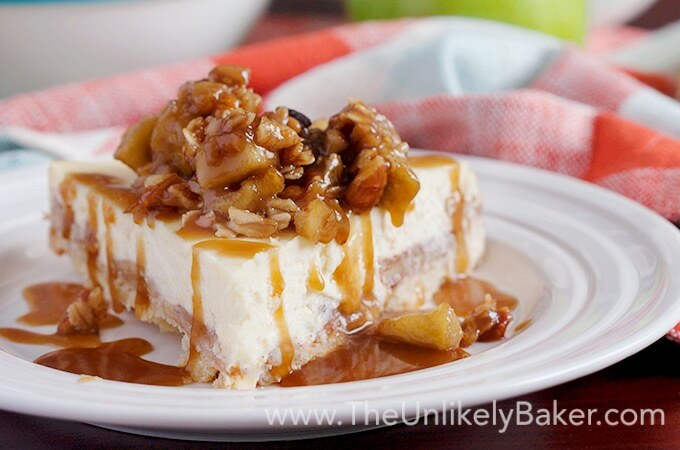 That salted caramel apple cheesecake looks so delicious and tasty. I will definitely try to do this next week. I am pretty sure that my love ones will love this. Wow! This cheesecake looks really so delicious! I will definitely try this. Love the idea of the pecan crisp topping. All your recipes look so good! Thanks for sharing! Nice recipe but is there any substitue for egg? This looks so good. Especially with the caramel! I love cheesecakes, but I’ve never made it myself. Look at that pecan crisp topping and caramel sauce! Drool! I am actually more of an apple and pear type of gal more than pumpkins so two thumbs up for this one! Hi Trish! Score for Team Apple 🙂 This is a great fall dessert but what’s up with this heatwave eh?? How amazing this cheesecake must be! I can only imagine the delicious apples cooked with cinnamon and then added on top of the cheesecake with the salted caramel. A perfect autumn dessert! Hi Dawn! I’d say yes, this totally counts as your one apple for the day LOL! And I’m really trying to get better organized before I start baking but Red is better at that too. Sometimes in the middle of prep I discover I’ve run out of sugar or some other random ingredient haha. Ah food blogger problems! Oh, this cheesecake looks amazing! Thank you for sharing, Jolina. Hope you have a wonderful week, dear. Cinnamon apples are pretty tasty. I’ve tried it recently with a different recipe. This has been quite successful in sharing. I love the flavor of apple. The cake looks so delicious and so classic. Love to have this. We will try to make this at home according to your given recipe. Can you please deliver this to me ASAP! This looks amazing like I must absolutely have a piece! Aghh I guess I will be baking this weekend! Hi Carrie! You know I’d fly out to Norway in a heartbeat! Though maybe let’s wait until winter is over? LOL! Looks delicious. I can’t wait to try this recipe. Are Granny Smith apples a must or could you get away with any apple type in your pantry? Hi Georgia. Granny Smith is just my preferred apple because it’s tart and sturdier. Here’s an article you might find useful: http://www.midwestliving.com/food/fruits-veggies/great-apples-for-baking/ Hope it helps! ‘ouuuh!’ it looks so yummy. Excellent fall recipe. The images are mouthwatering. I must make this. Your salted caramel apple cheesecake looks and sounds ridiculously amazing. What a great combination of yummy fall flavors! I bet this is delicious! Especially the salted caramel sauce. I love anything with apples in and cinamon goes really well with apple. 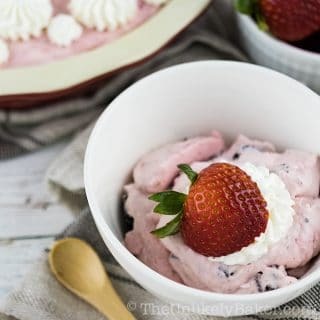 As soon as I have the ingredients for this I think I may have to make it! You bet correctly! 🙂 Hope you guys like it! This looks delightful I think I’ll add this to my Thanksgiving spread. Thanks for the recipe. Awesome! This would make for a perfect ending to a thanksgiving dinner! Hope you and your guests like it! That topping looks super good and cheesecake will always be a favorite of mine. I think I’d love these flavors! I’m normally not into cheesecake, but this looks divine! I’m definitely ready for fall, and everything the season brings. delicious and smooth and creamy, if you make it you will love like us. Thank you for sharing this recipes and keep baking. You have me at cheesecake and the rest is cherry on top! I love a good yummy cheesecake with salted caramel but this one is perfection. It looks so good I can eat the whole cake. YUM!!! This is the perfect fall dessert! Sound so yummy and comforting. Need to have this stat!